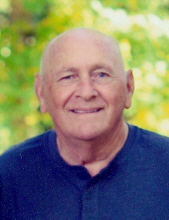 Stanley G. Knearem, 73, of Cowden, Illinois passed away at 12:10 p.m. on Wednesday, January 23, 2019 at Shelbyville Manor in Shelbyville, Illinois surrounded by his loving family. Stan was born August 29, 1945, in Effingham, the son of Donald and Lois (Doty) Knearem. Stan and Marilou Wren were united in marriage on May 29, 1968 in Shelbyville and recently celebrated their 50th wedding anniversary. He was a veteran of the United States Army where he served on the Fort Bragg Rifle Team from 1968-1970. Stan was an insurance agent with Country Companies for 37 years and was an active member of the Cowden community as well as the surrounding communities. He served on the Cowden Fire Department, previously served as the Mayor of Cowden, was a member of the First Christian Church in Cowden, the American Legion of Herrick, Greenland Masonic Lodge #665 of Beecher City, Scottish Rite of Danville and was a lifetime member of the National Rifle Association. Surviving are his loving wife of 50 years, Marilou of Cowden; son, Rory Knearem of Cowden; grandsons: Derrick Knearem of Lakewood and Andrew Force of Argenta; brothers: Ken (Anita) Knearem of Tower Hill and Mac (Dawn) McGinness of Mattoon; sisters: Donna Kay Humphrey of Dewey and Rose (Larry) Walker of Shelbyville; aunts, Rosalie Doty of Mattoon, Erna Doty of Aurora, Linda Cunningham of Shelbyville and Sandy Anderson of Shelbyville; uncle, Roger (Patsy) Doty of Cincinnati, OH and many nieces and nephews. Preceding him in death were his father, Donald Knearem; mother and stepfather, Lois and Richard McGinness; sister, Jackie Storm and brother-in-law, Arnold Humphrey. Funeral services will be held at 1:00 p.m. on Saturday, January 26, 2019 at the First Christian Church in Cowden with Pastors Don “Satch” Thomas and Darrell Hinkle officiating. Burial will take place in Mound Cemetery with military honors by the Shelby County Honor Guard. Visitation will be from 5:00-8:00 p.m. on Friday, January 25, 2019 at the First Christian Church in Cowden. Masonic rites will be held at 8:00 p.m., following the visitation, by the Greenland Masonic Lodge #665 of Beecher City. Memorials may be given in Stan’s name to the First Christian Church Adult Sunday School Class, 404 E. Locust Street, Cowden, IL 62422. Lockart-Green Funeral Home in Cowden is assisting the family. Family and friends are invited to light a candle or share a story in Stan’s honor at www.lockartgreenfuneralhome.com. To send flowers or a remembrance gift to the family of Stanley G. Knearem, please visit our Tribute Store. "Email Address" would like to share the life celebration of Stanley G. Knearem. Click on the "link" to go to share a favorite memory or leave a condolence message for the family.